Fort McMoney: What’s your take? A new, interactive documentary game entitled Fort McMoney was released on November 25 by film producers TOXA, the National Film Board and ARTE. Check it out and let us know your thoughts. Spare a thought for our workers this winter. To help deliver energy, they’ll be braving weather conditions so harsh simply thinking about it can evoke chills. Opinions on oil sands development can be found across the spectrum - and two recently produced reports demonstrate just that. Read the perspectives of both Pembina and the Canadian Manufacturers and Exporters on what the impacts of oil sands development mean for Canada now and in the future. Oil, natural gas or renewables: Do we have to choose? Some critics of oil sands development have suggested that companies should divest of these resources and acquire new assets with a lower greenhouse gas (GHG) emission footprint. With discussion about pipelines, environmental impact and safety, the benefits pipelines provide may sometimes get overlooked. 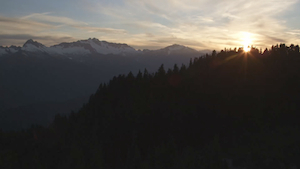 With their planned expansion project, Trans Mountain has created a video to identify the economic benefits their pipeline, and others, has to offer. Canadian energy companies are hardly known for frequently taking to the airwaves, the internet or newspapers to advertise or engage with Canadians. And they’re certainly not known for being provocative. Climate change: which tribe do you belong to? According to independent online magazine The Tyee, four influential subcultures have emerged that shape our response to global warming. Each subculture has its own story to tell about the limits and opportunities of climate change. Are you part of the ‘Civilizations Cynics’, the ‘Fossil Fighters’, the ‘Dogma Disrupters’ or the ‘Industry Improvers’? Leave us a comment and let us know which subculture best describes you. Are there really ‘green jobs’? With concern about climate change on the rise, the notion of ‘green jobs’ is increasing across our economy. But are there really green jobs? A report published by The School of Public Policy at the University of Calgary suggests that the economic and environmental reality of ‘green jobs’ can never live up to the promise and that environmental progress is better served through more quantifiable performance metrics.